A woman was killed in an Oklahoma car accident when the SUV in which she was a passenger was involved in a head-on collision. According to a News 9 report, the fatal crash occurred in the 3100 block of S. Broadway Ave. in Moore. NewsOK reports that the male driver of the southbound SUV may have passed out at the wheel before letting his vehicle cross the centerline where it struck a northbound pickup. The SUV driver’s wife succumbed to her injuries at a nearby hospital. The driver of the pickup and his son were taken to the hospital for examination after complaining of chest pains. The investigation is ongoing. 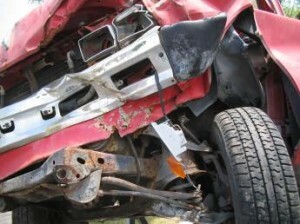 Oklahoma City car accident fatality attorneys are extremely concerned about the upward trend in teen driver deaths. As data continues to come in, 2012 appears to be the second year in a row that the nation has seen an increase in teen driver deaths after eight years of decline. All 50 states and the District of Columbia are participating in the ongoing 2012 Teenage Driver Fatalities by State report conducted by the Governors Highway Safety Association (GHSA). Three men were killed in a Tulsa fatal car accident involving a head-on collision. According to a news report in The Associated Press, the fatal crash occurred on East 145th Avenue in Rogers County. Officials say a 29-year-old man was attempting to pass a semi-trailer when his car crashed head first into another vehicle. The driver was killed and two passengers from Tulsa, aged 21 and 23, in the other vehicle suffered fatal injuries as well. It is unclear if the driver of the second car was injured, but the driver of the semi-trailer was not hurt in the fatal crash. A 27-year-old woman was killed in a Tulsa intersection accident involving a two-car collision at an intersection. According to a news report in Tulsa World, the fatal car crash occurred on Lynn Lane Road and 21st Street in Tulsa. Officials say the victim’s vehicle stopped before entering the intersection where a second car struck it. The driver suffered fatal injuries and her 17-year-old female passenger has been listed in critical condition. The 45-year-old woman driving the other vehicle sustained injuries that are not considered life threatening. It is unclear if she will be cited for the fatal crash. An 80-year-old man and a 73-year-old woman from Osage County were killed in a car accident after their Dodge pickup was struck by a dump truck. According to a KJRH news report, the fatal Oklahoma truck accident occurred near the Lowe’s on Adams Boulevard in Bartlesville. Officials say the 80-year-old man was making a U-turn when a dump truck struck his pickup. The female passenger died at the scene of the crash and the male driver passed away that night. The driver of the dump truck was not injured and was not cited for the crash.